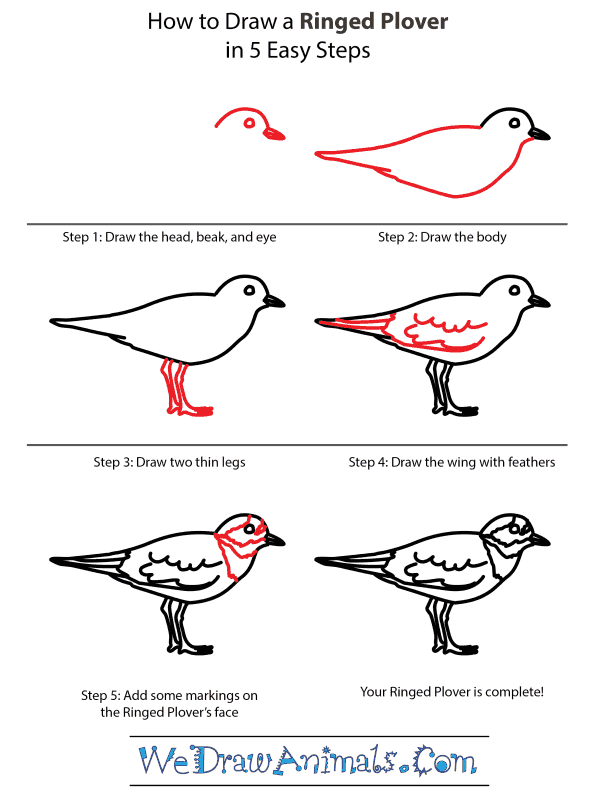 In this quick tutorial you'll learn how to draw a Ringed Plover in 5 easy steps - great for kids and novice artists. 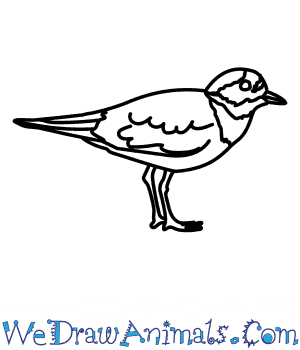 At the bottom you can read some interesting facts about the Ringed Plover. 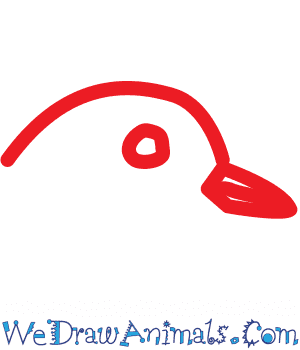 Step 1: Begin with a rounded head, complete with tiny beak and one small eye. 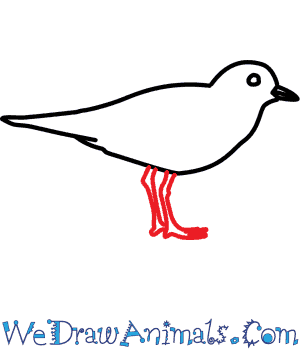 Step 2: Draw the body, which consists of a curved belly and flat back that meet at the back to form a pointed-looking tail. Step 3: Add two thin legs that slightly bend. 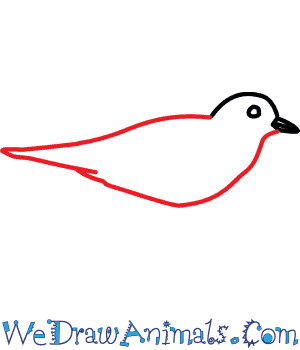 Step 4: Add the wings and feathers onto the body, trying to be as detailed as possible. 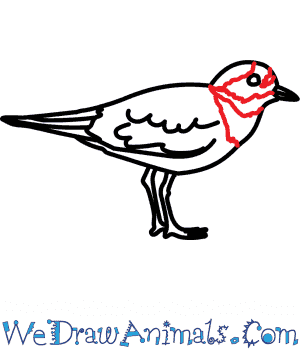 Step 5: Now all you have to do is add some unique markings to the bird's face, and you're finished. Ringed Plovers are resourceful creatures – in order to entice underground prey – Plovers stomp their feet on the ground to imitate rainfall. 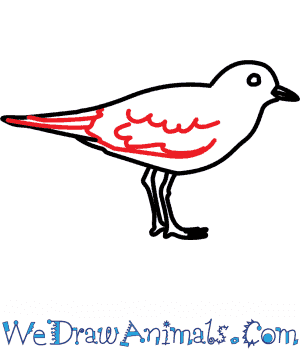 They travel in smaller flocks but larger gatherings of fifteen hundred Plovers is not that uncommon. It is territorial and will attack you if you try to disturb the clutch. A clutch of eggs can hold up to six.